As a Buffalo, N.Y., native and avid Bills and Sabres fan, Paul Lukasik seemed destined to attend college in his home state. In fact, he didn’t even plan to look at colleges outside of New York. He’s glad he did, though. Lukasik, who recently finished his junior year as a Project and Supply Chain Management major at Penn State Erie, The Behrend College, says he found college daunting when he first arrived. He knew no one, and the entire area was unfamiliar to him. So, he devised a plan. “My strategy was to get as involved as I possibly could,” Lukasik says. 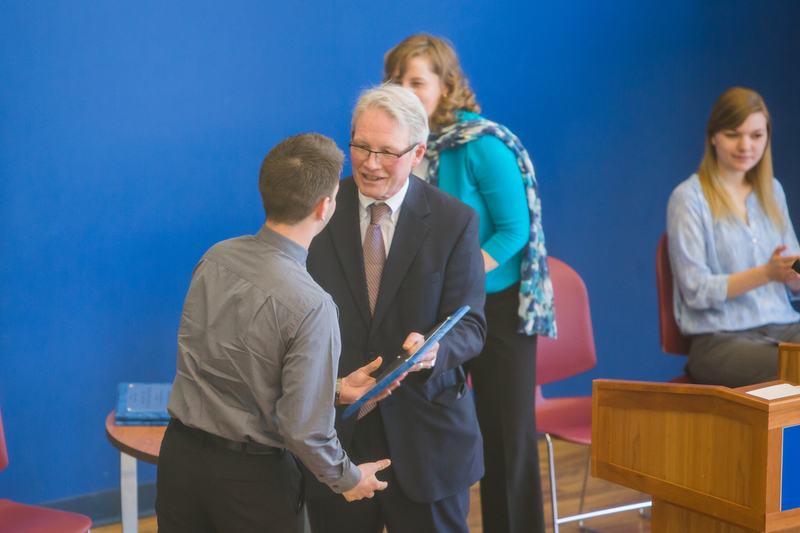 In his three-plus years at the college, Lukasik has been a member of Kappa Delta Rho, Reality Check, and Omicron Delta Kappa, the national leadership honor society. He’s also served as a resident assistant and on the budget committee for the Student Government Association. 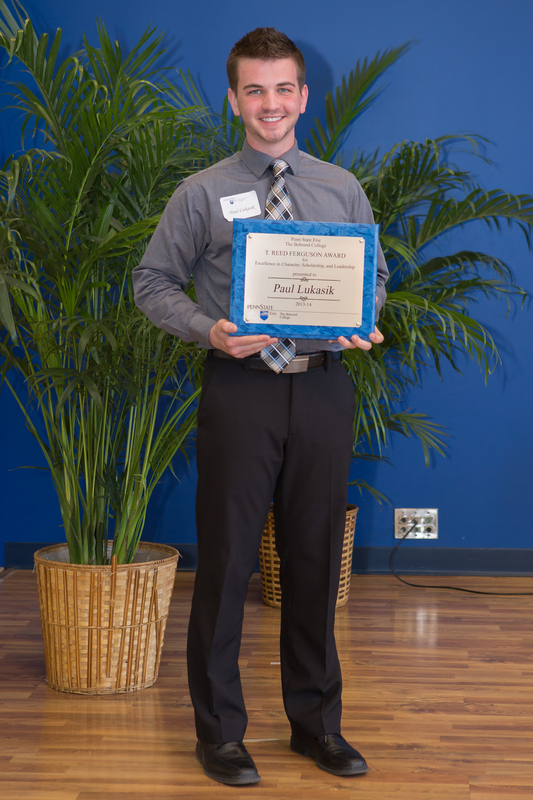 Lukasik’s contributions to the college were recognized April 27 at Penn State Behrend’s sixty-fifth annual Honors and Awards Convocation when he was named the recipient of the T. Reed Ferguson Award. The award recognizes a junior who has demonstrated scholarship, leadership, and citizenship through his or her academic and out-of-class involvement and gives promise of further achievement in the senior year. Lukasik says he learned the need to be active and involved as a young child. His grandparents founded the Fair Haven’s Church in North Tonawanda, N.Y., and he was always helping out. Lukasik will have the opportunity to help more people this fall when he takes over as president of Reality Check, a community service organization on campus. Every year, the group goes on an Alternative Spring Break, a week-long service trip. The group went to New Orleans this past year and worked on rebuilding houses damaged by Hurricane Katrina. Lukasik says he has enjoyed the opportunities to help others that Penn State Behrend has given him. He also recognizes how the college has helped him.